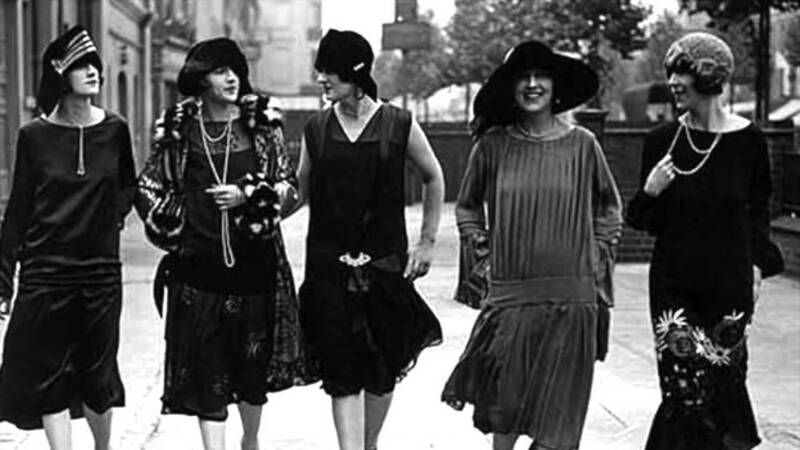 Women's lives changed dramatically during the early 20th Century. The Suffrage Movement was actively engaged in protests, demonstrations and rallies to campaign for the woman's right to vote. During WWI millions of women set off to work to fill the positions of men fighting in the war. 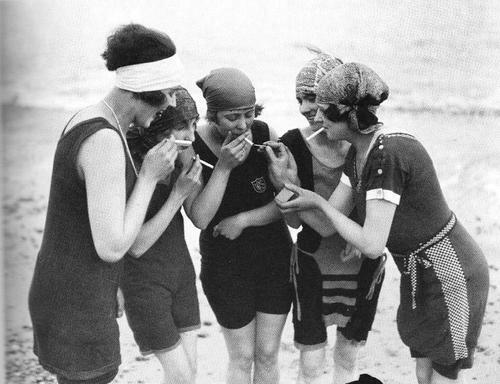 A new spirit of freedom and liberation was taking over and out went the traditional, meek woman and in swaggered the ballsy, short-haired, sexually-confident flapper! This new breed of woman wasn't afraid to wear her hair or her skirt short! She was active in leisure sports like tennis, bicycling and swimming. She smoked cigarettes, drank martinis and exchanged witty banter with the slicksters in the hottest nightclubs. As her life changed, so did her wardrobe and along with it her jewelry. "Styles of dress had evolved to suit a freer, more active lifestyle, and lines within jewelry became streamlined and angular to complement the new, flatter silhouette. (Phillips, 2003). 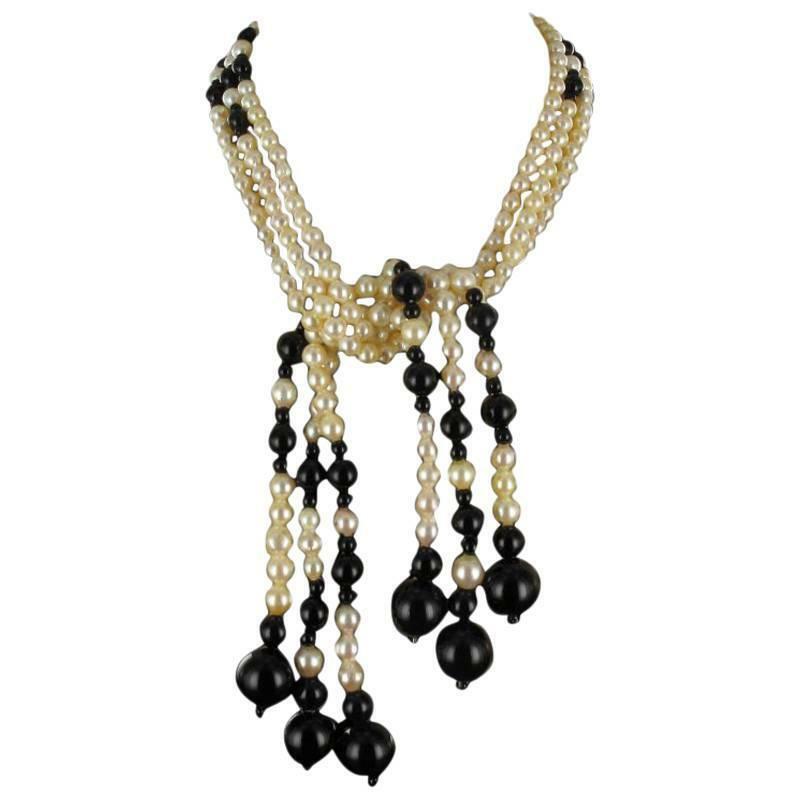 And as the Art Deco movement gained momentum in the 1920's, it was inevitable that jewelry trends would be influenced by it. 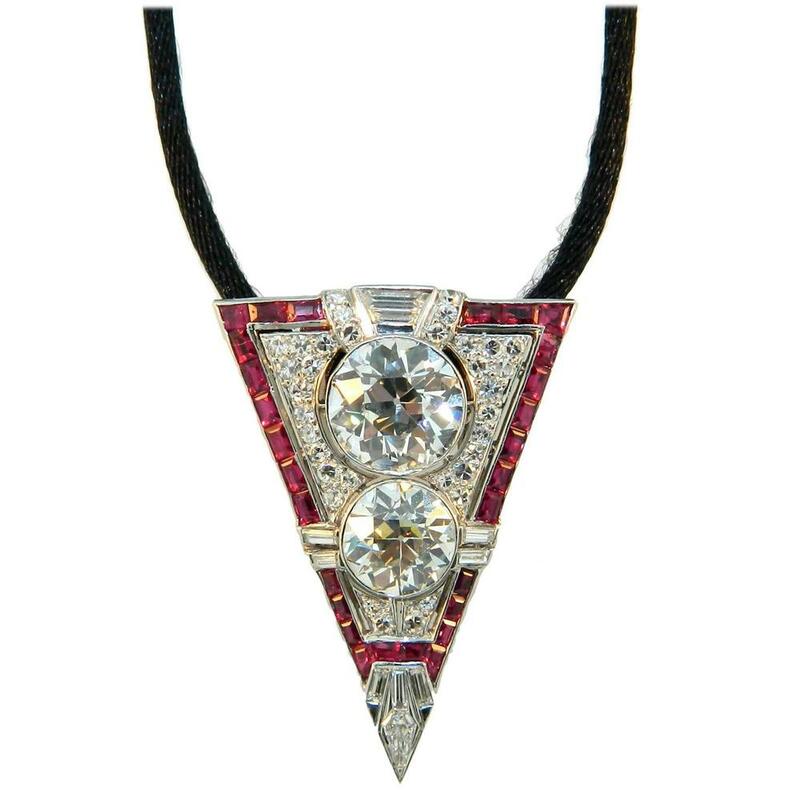 Art Deco style jewelry can be identified by streamlined, angular, geometric shapes. Squares, triangles, rectangles, hexagons and zigzag shapes were popular. 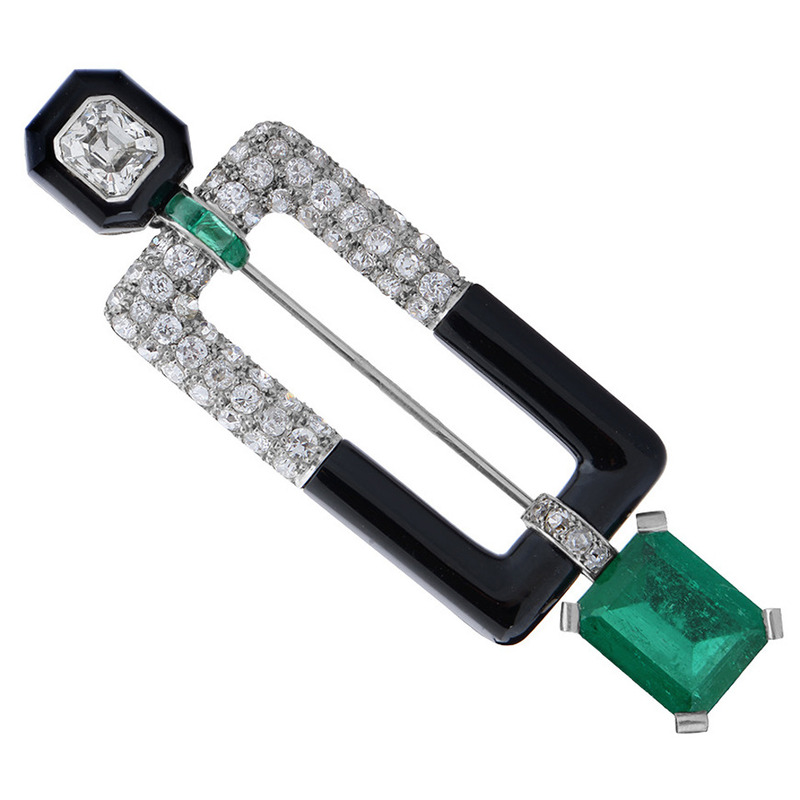 Common Art Deco engagement ring shapes were Princess (square), Emerald (rectangle) and Baguette (long rectangle). 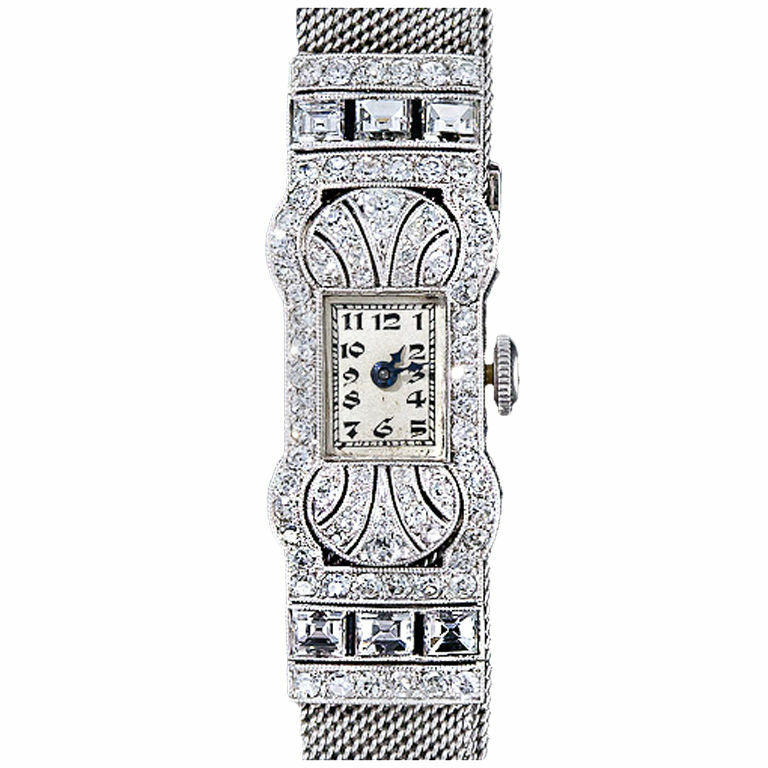 The booming economy of the 1920's allowed for the use of very expensive stones. 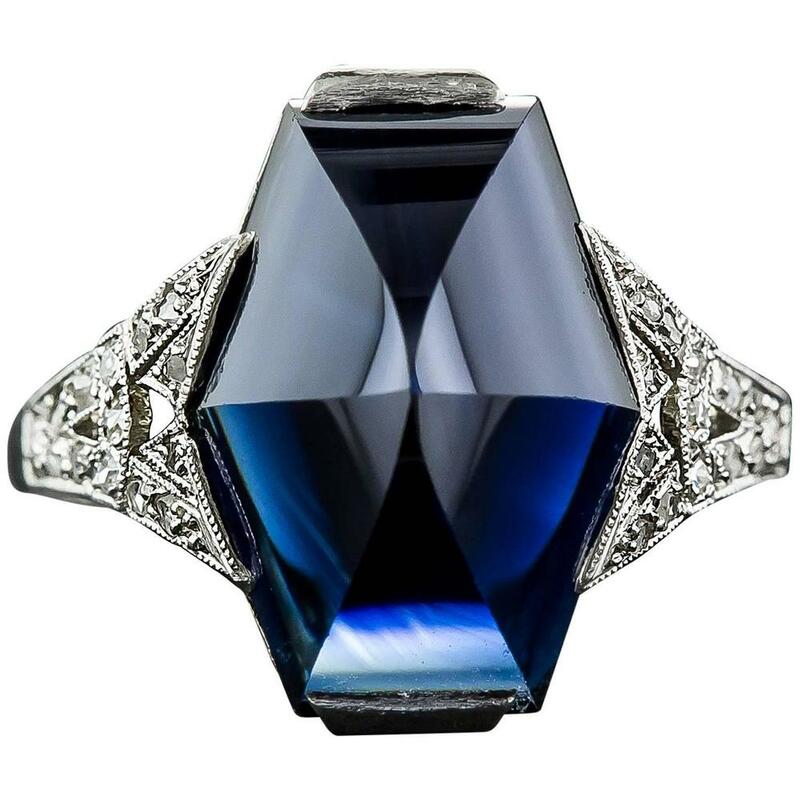 Diamonds, rubies, emeralds and sapphires were the obvious choice due to their bold, bright colouring (bright colours were a huge trend during the Deco days). In keeping with the luxury stones the most common metals used were Gold (yellow and white) and Platinum. Silver was used, but sparingly, as it was not considered to be luxurious enough for the discerning woman of the day. 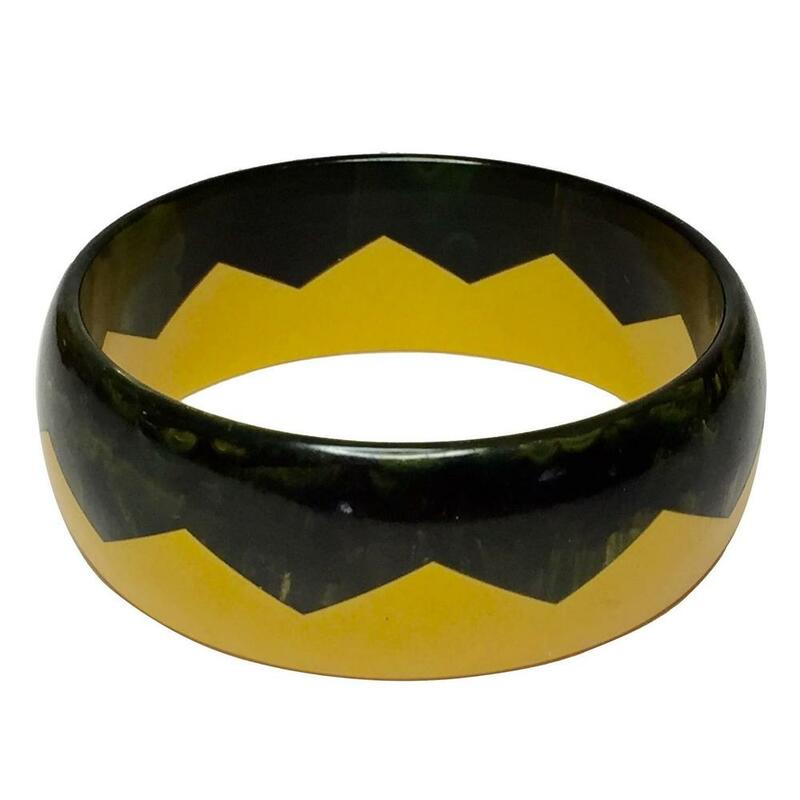 Other popular materials used were jade, onyx, pearl, turquoise, quartz, chrome metal, coral, ivory and ebony. These materials have a sleek, cool quality about them and therefore they fit well into the modern Deco 'look'. 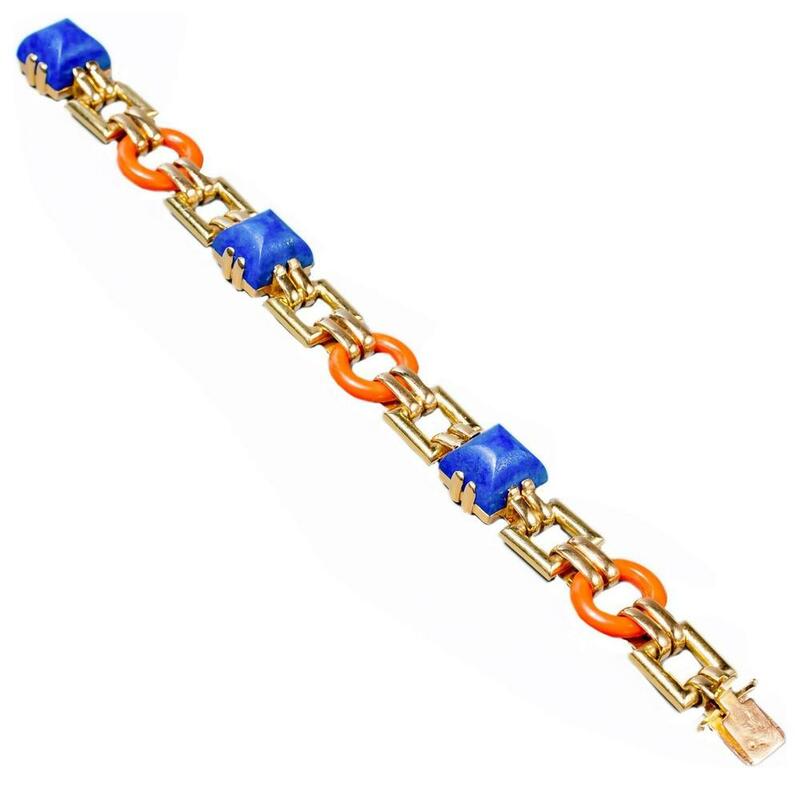 As the Great Depression descended upon the globe in the 1930's and society was tightening their purse strings, jewelry designers began co-mingling very expensive metals and stones with less expensive materials like enamel, Bakelite and nylon. These materials also had that sleek, modern look which did not detract from the overall Art Deco style, yet it made the pieces a bit more affordable.